select *, DATE_FORMAT(birthday, "%b %e, %Y") as _birthday, DATE_FORMAT(died, "%b %e, %Y") as _died, MONTH(birthday) as month_birth, DAY(birthday) as day_birth, DATE_FORMAT(birthday, "%b %e") as _birth_day_month from agatti_people where agatti_people.u_name = "ralph-bellamy"
Shares birthday with Russell Simpson, Grant Mitchell, James Shigeta see more.. Legendary actor, Ralph Bellamy, was born Ralph Rexford Bellamy on Jun 17, 1904 in Chicago, IL. 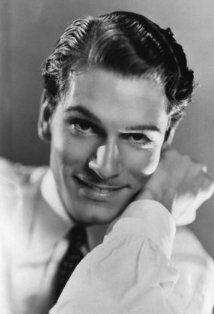 Bellamy appeared in over 190 film and TV roles from 1931 to 1990. His best known films include The Awful Truth (1937), Carefree (1938), His Girl Friday (1940), Brother Orchid (1940), Footsteps in the Dark (1941), Dive Bomber (1941), The Wolf Man (1941), Sunrise at Campobello (1960) and Rosemary's Baby (1968). Bellamy starred as private detective Mike Barnett in one of the first TV police shows, Man Against Crime (1949-1954), and later had roles in several other TV series, including The Eleventh Hour (1962-1964), and The Most Deadly Game (1970-1971). 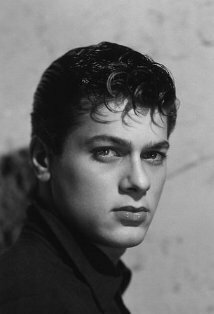 He also appeared in countless TV-movies and tele-plays, and played President Franklin Delano Roosevelt in two TV mini-series: The Winds of War ((1983), and War and Remembrance (1988-1989). Later in his film career he played conniving billionaire Randolph Duke in Trading Places (1983, starring Dan Aykroyd, Eddie Murphy, Don Ameche and Jamie Lee Curtis), and businessman James Morse in Pretty Woman (1990, starring Richard Gere and Julia Roberts). Bellamy died at the age of 87 on Nov 29, 1991 in Santa Monica, CA and was laid to rest in Forest Lawn (Hollywood Hills) Cemetery in Los Angeles, CA. Ralph Rexford Bellamy was born on June 17th, 1904 in Chicago, Illinois but would spend the majority of his earliest years in the quieter, smaller town of Winnetka. He was the oldest of three children, born to advertising man, Charles Rexford Bellamy and stay-at-home mother, Lilla Louise. As a teenager Bellamy developed a strong worth ethic working multiple jobs such as Newspaper deliver boy, soda jerk, and movie theater usher. He then attended New Trier High School, who he developed a strong interest in theater, eventually becoming the President of his school's drama club. After graduating high school Bellamy quickly jumped into his career as an actor. According to Bellamy's New York Times obituary, he immediately began an intense, theatre apprenticeship, learning in the ins and outs of both behind the scenes mechanics of the theater and the art of acting. Bellamy not only did general labor, such as loading props and scenery but also learned the art of managing, producing, directing plays and acting in plays. After completing his apprenticeship, Bellamy began a nine-year journey into the world of touring stage production and stock companies. He remained in the mid-west, acting in companies located in places like Madison, Wisconsin, Fort Wayne and Evansville, Indiana. He worked tirelessly, often playing more than one role in each play he appeared. In 1926 Bellamy was the head of his own repertory troupe, the Ralph Bellamy Players, based in Des Moines Illinois. He then moved his company to Tennessee for a year before finally traveling to New York in 1929. Bellamy made his Broadway debut in the 1929 comedy Town Boy. Although the play was met little success, Bellamy was well received. His follow up play, 1930's Roadside met the same fate with Bellamy, once again, being well received. Despite the short run of his two Broadway outings, Hollywood still took interest in the actor. He received four offers before finally signing with United Artist in 1930. For his feature film debut, Bellamy was loaned to MGM studios in the 1931 crime drama The Secret Six, appearing alongside Wallace Beery, Lewis Stone, Joan Harlow and Clark Cable. Much like his beginnings in the world of the stage, Bellamy hit the ground running and the end of 1933 had appeared in over 20 films. Although Bellamy would not reach the stardom of some of his contemporaries, he made long lasting career playing the second male lead, often losing his leading ladies to the more charming first lead. On top his incredibly busy acting schedule Bellamy was active in Hollywood politics, becoming one of the founding members for the Screen Actors Guild. He remained active in the guild his entire career, often acting on be half of young, struggling actors. In 1934 he continued his pump out film after film, appearing seven films including the crime thrillers The Crime of Helen Stanley, One is Guilty, and Girl in Danger where Bellamy played the hardnosed Inspector Steve Trent in all three films. 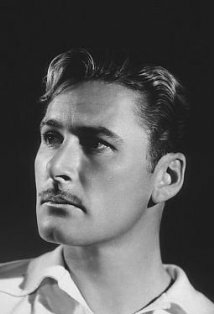 He proved his ability to act in just about any genre, appearing the dramas such as The Wedding Night, comedies such as Hand Across the Table and crime thrillers such as Dangerous Intrigue. 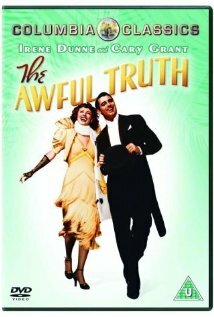 In 1937 he earned his first and only Oscar nomination for his supporting performance in The Awful Truth, ultimately losing to Joseph Schildkraut in The Life of Emile Zola. In the film Bellamy played his typically wealthy, well meaning but utterly boring second lead, losing Irene Dunne to the more charming and clearly more meant-to-be Cary Grant. This scenario would play out again three years later with another screwball comedy, this time with Bellamy losing Rosalind Russell to the sophisticated charmed of her ex-lover, Cary Grant. In 1941 Bellamy co-starred alongside Lon Chaney, JR., Claude Rains and Evelyn Ankers in George Waggner's The Wolf Man. During the start of the decade Bellamy also starred as Ellery Queen in the Ellery Queen detective series in films such as Ellery Queen, Master Detective, Ellery Queen and The Perfect Crime, and Ellery Queen and the Murder Ring. 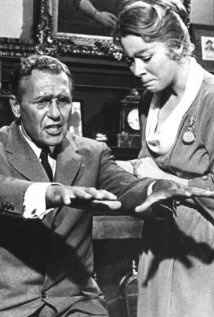 Outside of his detective work, Bellamy continued his diverse work with films like Lady in a Jam, The Great Impersonation, and Lady on a Train. After tiring of his 'Ralph Bellamy'-type typecasting, Bellamy left the world of Hollywood in favor for the stage and the small screen. He traveled to New York in 1943 to star in the successful drama Tomorrow the World. The next year he starred in yet another successful play Pretty Little Parlor. He relocated to New York City in 1945 after a hiatus from the film to star in the political Comedy State of the Union. The play was massively successful with a run of 765 performances. He returned to the detective genre for his next play, the Sidney S. Kingsley written and staged Detective Story. Once again, the play was met with great critical and popular praise, lasting 581 performances. In 1952 Bellamy was elected to the potion of President of Actors' Equity. During this time the peak of the red scare and McCarthyism was at the forefront of American entertainment. Unlike the political leaders of Hollywood, Bellamy staunchly resisted the blacklisting of so-called communist sympathizers and welcomed Hollywood's blacklisted to the theater. He remained President for four terms, exiting the position in 1964. It was around this time Bellamy also became interested in the growing medium of television. In 1949 he began his five-year run on the Detective Story, playing the investigator Mike Barnett. Its final episode would air in 1954. He continued to have a relationship with television or the rest of his career, often making guest appearances popular shows. Bellamy returned to the stage in 1958 playing what he considers to be his greatest roles as President Franklin Delano Roosevelt in Sunrise at Campobello. He would later reprise the role in its 1960 filmic adaptation of the same name. Bellamy remained busy into t he 1960, mostly on TV. His resume boasts guest appearance on popular series of the time such as The Eleventh Hour, Death Valley Days, Rawhide, and Gunsmoke. In 1968 he made a return to the silver screen with a supporting role as the creepy Dr. Sapirstein in horror classic Rosemary's Baby. Bellamy continued to act into the 1970s, 1980s, and into the early 1990s, spending most of his time on the small screen in both series and made for TV films. In 1970 starred in The Last of the Powerseekers. In 1974 he starred as Adlai Stevenson in the 1974 TV movie The Missiles of October. He then worked a young John Travolta in the 1976 TV movie The Boy in the Plastic Bubble as Dr. Gunther. The next year he starred as Harold Baker in the TV series Hunter. In 1983 Bellamy reprised his most famous role, Franklin Roosevelt, in the TV mini-series The Winds of War. For his work he received a Best Supporting Actor Emmy nomination. Later that year he made an appearance on the silver screen, playing the ruthless billionaire Randolph Duke in the hit comedy Trading Places, appearing with Eddie Murphy and Don Ameche. In 1984 the Screen Actors Guild presented Bellamy with a Lifetime Achievement Award. Three years later in 1987 he was presented with an Honorary Academy Award. 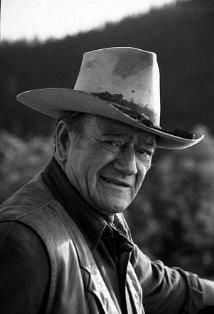 He remained active for the rest of the decade, playing Roosevelt one last time in the 1988's War and Remembrance. His final on screen performance was with supporting role in the 1990 blockbuster Pretty Women, spanning his career over 7 decades. 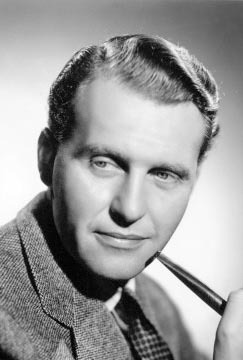 Ralph Bellamy died on November 29th of a lung ailment. He was 87 years old. He was married four times including once to organist Ethel Smith (3rd wife) whose recording of Tico Tico reached No. 14 on the U.S. pop charts in November 1944 and sold over one million copies worldwide.. Although Bellamy was nominated for one Oscar, he never won a competitive Academy Award. However he won one Honorary Oscar Award in 1986 for his unique artistry and his distinguished service to the profession of acting . Bruce Baldwin: Mighty nice little town, Albany. They've got the state capitol there, you know. Dr. Abe Sapirstein: Fantastic! Absolutely fantastic! What did you say the name was? Machado? Dr. Abe Sapirstein: Come with us quietly, Rosemary. Don't argue or make a scene. Because if you say anything more about witches or witchcraft, we're gonna be forced to take you to a mental hospital. You don't want that, do you? Ralph owned his own stock company for four seasons (1926-1930). It was called "The Ralph Bellamy Players" and it toured Nashville, Evanston, and Iowa (including Des Moines). Overall, he spent nine years in repertory and touring companies, playing over 400 roles, including an average of two or three in each play. Ran away from home at age 17 to join a traveling band of Shakespearean players. He also worked as an usher at Ravinia Park Open Air Pavilion. In Howard Hawks' His Girl Friday (1940), Bellamy's character, as happened in several movies, loses his girl to Cary Grant. At one point in the movie, as the conniving newspaper editor, Grant is giving a henchman directions to help him identify Bellamy's character, and Grant says, "He looks like Ralph Bellamy. ".